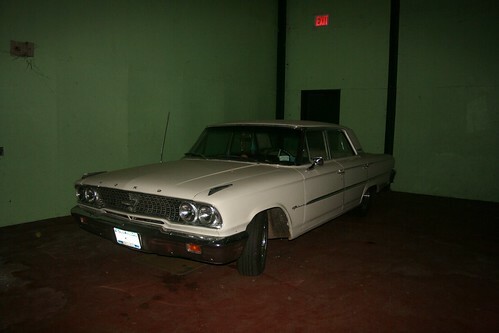 A like-new 1963 Ford Galaxie was stashed away in the corner of the sports complex. Notice that the car still has a license plate, registration sticker, and inspection sticker. They were current as of the photo. Oh, and the keys were stashed in the visor, just like in every movie.